These days, everyone’s talking about blockchain and cryptocurrency. New iterations of the revolutionary digital money units, powered by blockchain technology, are gaining popularity in part because cryptocurrency bypasses elements of the traditional money circuit, like paper money and banks, and allows users to directly create and trade value. However, blockchain technology also applies a near-unhackable level of data encryption to its transactions that’s increasingly important to everyone online—whether user, vendor, or platform. In light of new rules governing the use of user data on social media, developers’ conversations about blockchain are now also addressing issues regarding social media and the law, including marketing and advertising practices, as well as consumer and labor relations. The following pointers may prove helpful in navigating the changing straits between social media and the law. In the wake of recent court cases, the Terms of Service (TOS) of major social media platforms like Facebook have changed to protect user data. As a result, for example, personal timelines may no longer be used as promotional vehicles. For instance, a “share to enter for a chance to win” contest is now against Facebook’s rules. Organizations should examine the TOS of any platform they plan to use to make sure their content complies. Disclosure and transparency are the bywords for online posts. Bloggers and reviewers who receive compensation or gifts in exchange for posting about products, services, etc., must clearly disclose that fact to their readers. This new rule aims to ensure that advertisers can’t mislead the online public with essentially false advertising. Images that users share on social media platforms may be copyright protected, even though they’re accessible online. If so, permission of the owner is required to use them. The rightful owner can request that the appropriate platform removes the image from unlawful use, and users with multiple copyright complaints may lose the ability to post new content. Online expressions are now more protected as well. In California, for example, companies may not penalize consumers who post negative reviews. Employers can still look at an employee’s social media, but they may not be able to fire them just because of online comments made about their employers. Exchanges on Facebook between a set of user plaintiffs in support of group activities, for example, were recently found to be protected speech and thus unjust cause for termination by their employer. 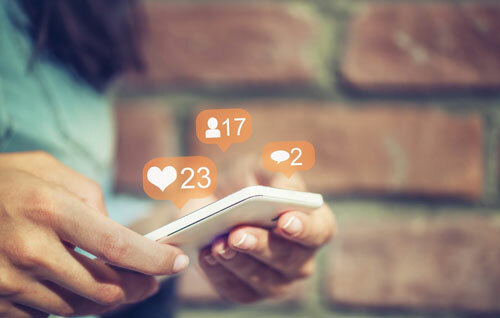 For more information on the ever-evolving intersection of social media and the law, reach out to the legal experts at Magee & Associates by calling 985-893-7550 or filling out our contact form. Our attorneys are ready to stand up for you.